Pilar Albert obtained her Law Degree from the University San Pablo CEU of Madrid in 1986. She has also completed an LLM in Human Resources Direction at IDE-CESEM. She started her professional career in the law firm Estudio Legal and headed the labour law area at Deloitte, Abogados and Araoz & Rueda. 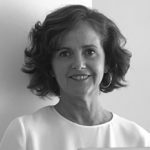 Pilar was Human Resources Director at UNED. She joined Suarez de Vivero in April 2018. Pilar provides legal advice to local and international clients on labour and employment law: Employment contracts; collective agreements negotiations; corporate restructuring; M&A labour implications (business transfer, outsourcing and sub-contracting of activities); employment benefits; due diligence reports, individual and collective employee terminations (redundancy procedure); employment litigation; industrial disputes; social security; local, national and European works councils; trade union recognition procedures and elections; occupational health & safety matters. She also has extensive experience in representing clients in court and in the negotiation of out-of-court settlements and is comfortable in global, multinational and multidisciplinary environment. Pilar has been an active member and participant at FORELAB: The Spanish Labour Lawyers Forum is an independent association of any political party, employer association or trade union, formed by leading lawyers and jurists in the area of Labour Law, representing Spanish labour lawyers, providing a meeting place that allows them to exchange professional experiences, as well as analysing the evolution of labour relations in Spain. She is also a participant at FIDE: the FIDE foundation is a legal-economic think tank based in Madrid, Spain, where professionals from the top management of big corporations, partners from law firms, university experts, judges from the courts of justice, public administration leaders, lawyers and economists, meet on a daily basis. Mrs. Albert has authored several legal publications in Expansión, and Cinco Días, national newspaper on Labour Law. She has also written in the Anuario Laboral (Editorial Wolters Kluwer). Mrs. Albert has been a Lecturer at the Madrid Bar Association and CEU University.